FX’s Legion: An exuberant reminder of how fun superhero shows can be. What it is: A new FX show based on the Marvel character Legion, a powerful mutant in the X-Men universe. What I’ve watched: Finished the first eight-episode season last night after starting a few days prior. Definitely a fun show to watch all at once. Is it good? Yeah, I loved it. Quick thoughts: I don’t know the comic character at all, and had very little idea what to expect from this show going in. I didn’t even know it was created by Fargo TV showrunner Noah Hawley until the end of the first episode, after which I said, “Well, that explains a lot!” I haven’t seen a TV show kick off with that kind of confidence in a long time, nor have I seen one maintain such assured loopiness from episode to episode. There were so many moments that fascinated me or cracked me up—Jemaine Clement starting off the fourth episode talking directly to the camera, Aubrey Plaza crashing her way through every set on the show while raunchily dancing to Nina Simone, the cutest evil beagle in the world... eyes in the walls, exposition in the chalk drawings, Thomas Dolby during the credits, and on and on. Clement and Plaza were fantastic casting, and in particular I do not understand why Aubrey Plaza, ferocious and starving on screen, isn’t starring in everything right now. 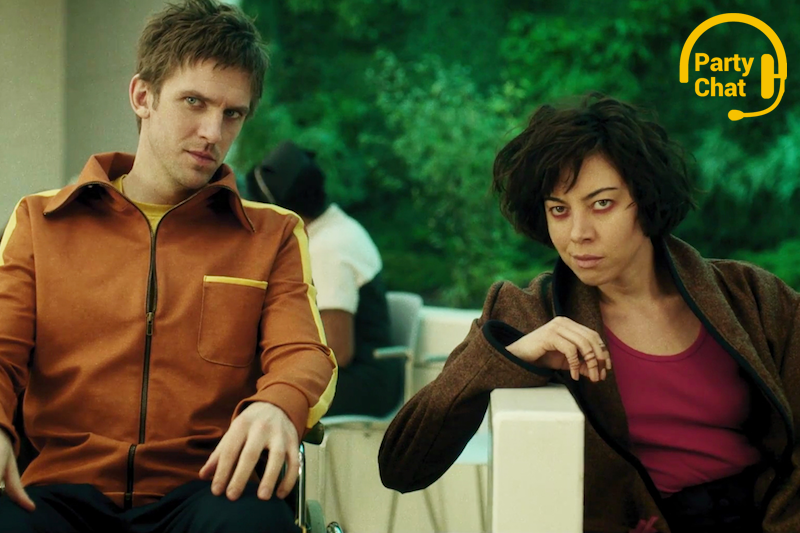 Legion may not have technically been an X-Men TV show, but it was more fun than any X-Men show or movie I’ve seen. I have no idea if they’ll be able to keep their creative momentum when they come back next year, but I sure am looking forward to watching them try.